The Raad voor de Kinderbescherming (RvdK – Council for Child Protection) is part of the Ministry of Justice and Security. The Ministry is responsible for the rule of law in The Netherlands, so that people can live together in freedom, regardless of their way of life or opinions. The RvdK is one of the services that implements this. When a child is in danger of being in an unsafe situation, the RvdK helps to find the best solution together with the child and the parents. The National Staff Organisation (LSO) is the organisational unit of the RvdK. They have a strategic advisory and centralised service function towards the primary process, and also have a directing role towards the suppliers, provide advice and positioning to the Ministry and safeguard the RvdK’s societal task. In 2015, a multi-annual vision for the 2016-2020 has been drafted for the RvdK, which resulted in a movement towards self-organisation. The LSO has now embraced self-organisation. They asked Perspectivity to support them in making decisions about the redesigning of the LSO, so that the LSO can continue to deliver valuable and appropriate services. Perspectivity has developed a Transformative Scenario Planning process with a representative sample of the whole staff. The main objective was to assist staff in making decisions for their organisation in the near future. The scenarios that were produced are a means through which we can come to the most desired vision for the future, taking into consideration the insecurities that can impact the coming period of time. ‘Will there be more rules or less? 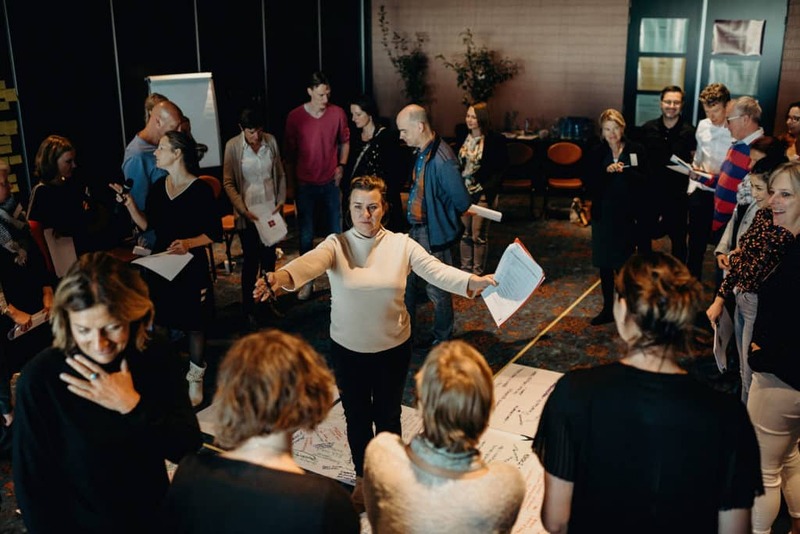 Do we focus on our task or on our expertise?’ Creating scenarios with a diverse group of stakeholders provides insights and connections between people who work at various locations and levels in the system and who want to work towards the same goal together. This resulted in choices that are broadly supported, a higher involvement of people and more coherency. A development to which we love to contribute!